I am always on the lookout for alternative therapies and holistic healing measures for mental health. When asked if I would be interested in reviewing an app that exists to help others with their mental health, I could not turn it down. I was delighted to try it out and share with you a review of my experience. Disclaimer: A free trial of this application was given in exchange for an honest review. You will also get a free code to try out this app too! Look for the code at the bottom of this post. 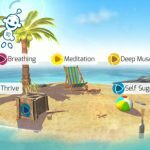 Thrive: Feel Stress Free is an app that was created to help people living with mental illness. 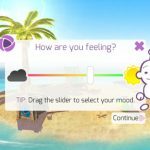 It uses prompts to help determine your mood and feelings. It also assists you in recognizing stressors, triggers, and anxiety in clinically proven ways. This app does not intend to replace therapies for mental illness, but is an added bonus to existing therapies. This app was extremely user-friendly and provided many animated ways to guide you through your emotions. I love that it starts out with asking you to evaluate your mood on a sliding scale. Then, the application gives you prompts to further identify your feelings and discover what is causing you to feel the way you do. One way of getting through anxiety and depression is recognizing your emotions and learning how to handle them effectively. 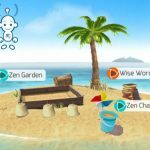 This app helps you manage your moods and feelings by providing activities such as meditation, affirmations, exercise, and breathing techniques. I would first highly recommend this application to teenagers and young adults, however, the gamification, graphics, and content of this app could be appealing to all ages. 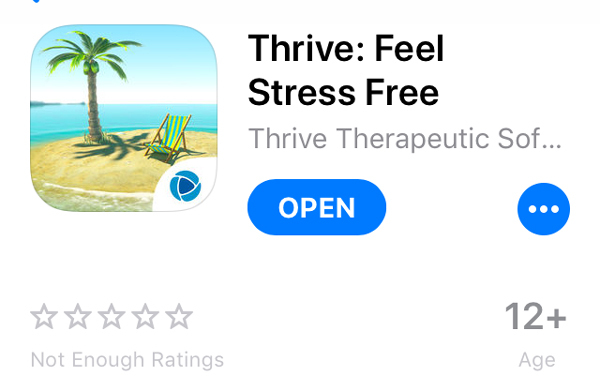 If you or someone you know would like to try a free trial of this app, go to Thrive: Feel Stress Free or head to the app store on your phone. 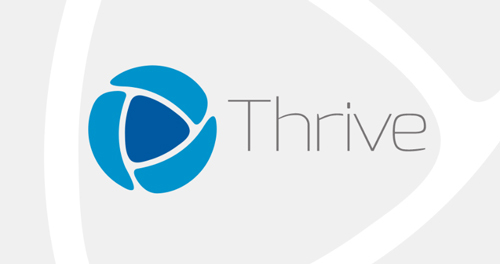 Enter code THRIVE1084 for your free trial through the end of April. I could def try something like this, seems they have an app for everything these days. It’s really cool how many strategies this app gives you to deal with stress, anxiety, & depression. Give it a try and use the free code.